US equities closed moderately mixed, sp -3pts @ 2110. The two leaders - Trans/R2K, settled -0.5% and +0.3% respectively. Near term outlook still offers a minor retrace, but downside now looks limited to around sp'2065.. which will likely equate to VIX in the 17/19 zone. ... a rather disappointing end to the day for those in bear land. 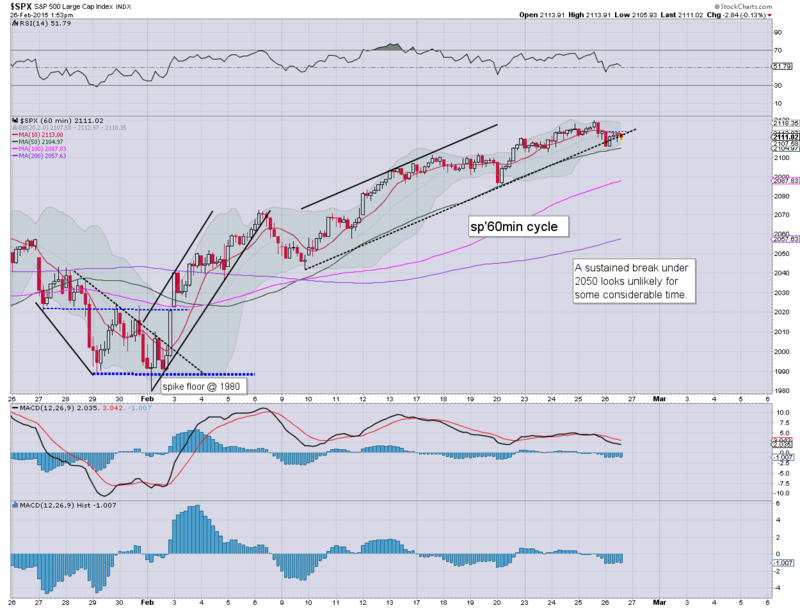 The sp'2100 threshold continues to hold, and thus there is no clarity that even a minor retrace is underway. Each day of chop means the downside target will be raised.. and right now.. that would be the sp'2060s. Daily wrap at 8pm EST. 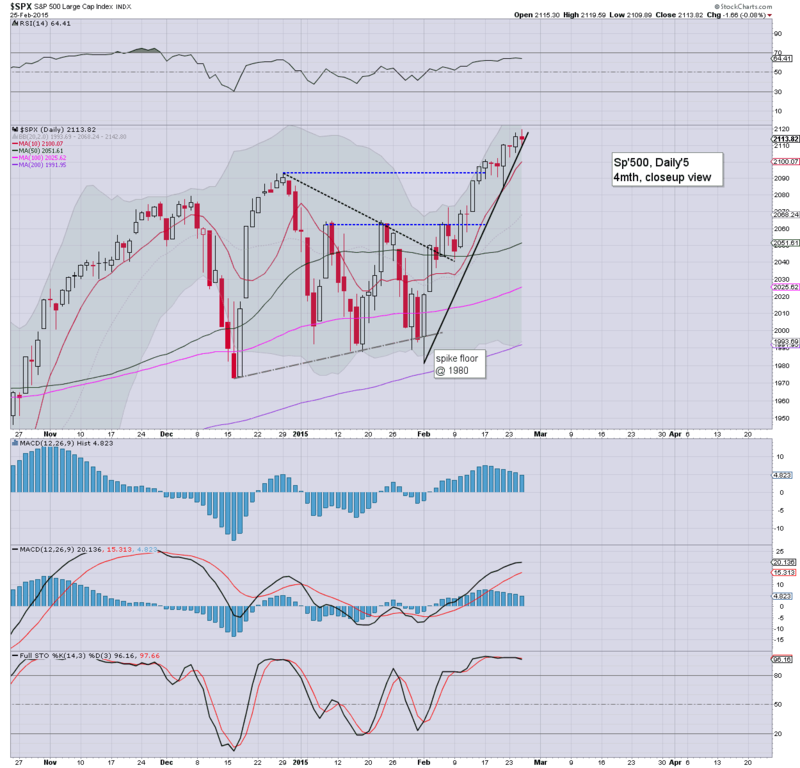 If we can get that daily close under sp'2100, it will open the door to the 2060s next week. The 2050s look increasingly tough... not least as the 50dma is rising each and every day. Equity indexes remain mixed, sp -3pts @ 2110, whilst the Nasdaq is holding fractional gains.. a mere 0.3% from breaking the giant 5k threshold. Metals appear maxed out on a bounce, Gold +$4. Oil continues to fall, -4.0% in the $48s. Suffice to say.. it remains painfully tedious. Nothing bullish in this one... looks set to return back to the lows from summer 2012. A daily close <2100 would be significant.. and (finally) open the door to the target zone of 2060/50s. 2.30pm ... Oil is collapsing, -4.6% in the $48s... and this is certainly helping offer the chance of a key break. US equities remain largely subdued, although still achieving new highs in a few indexes. 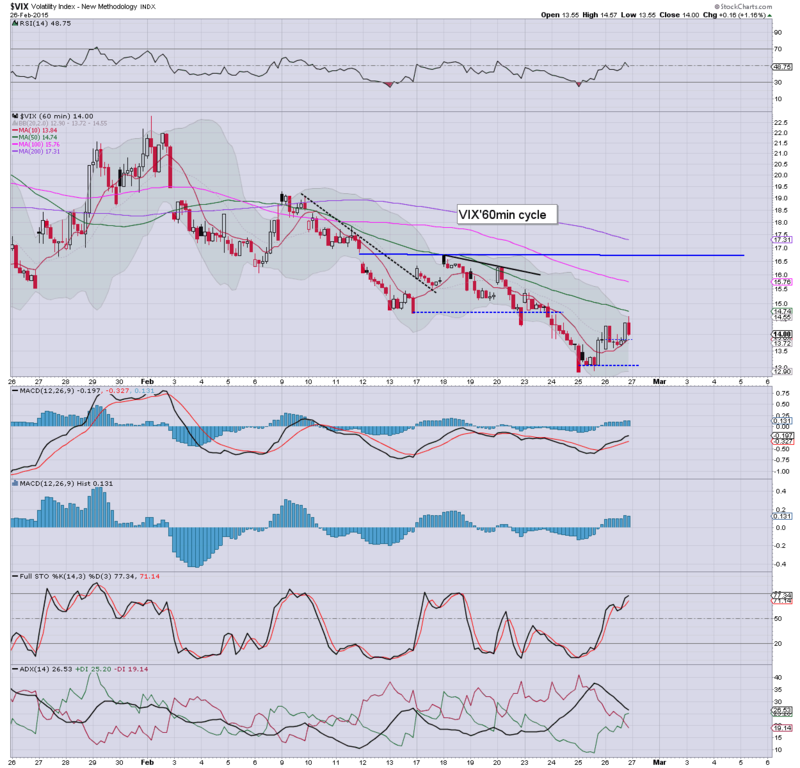 Metals are holding moderate gains, Gold +$5, but looks vulnerable into the Friday close. Oil continues to slide, -3.1% in the $49s. VIX is showing zero sign of market concern, -1% in the 13.60s. 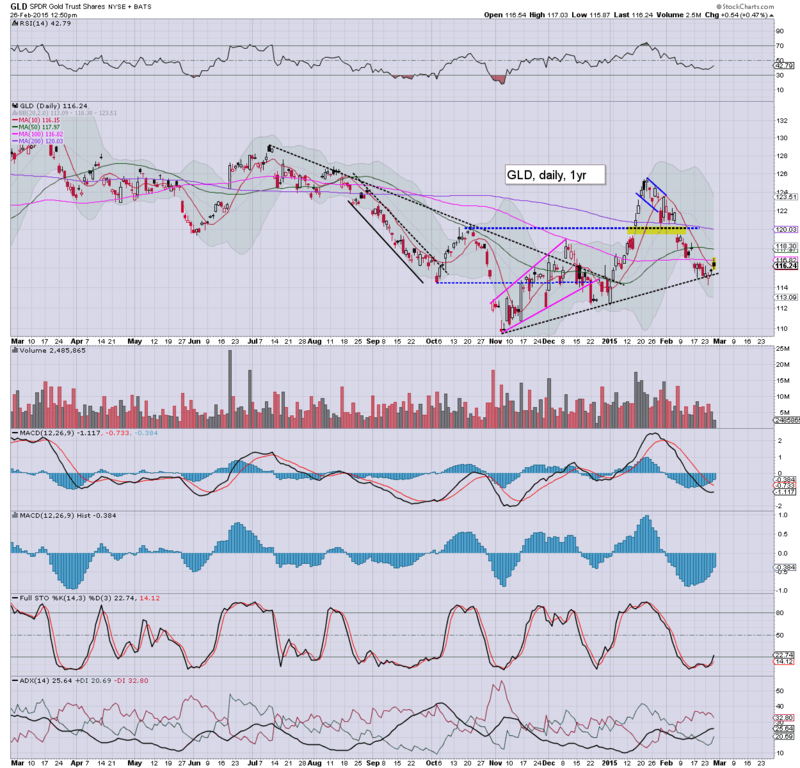 *another black-fail candle for Gold, and some weakness into the Friday close looks very viable. Regardless, February was a bad month for the gold bugs. Not much to add... it remains a very dull market. I'm resigned to broad upside into late April/early May... and then the first chance of a more sig' drop. 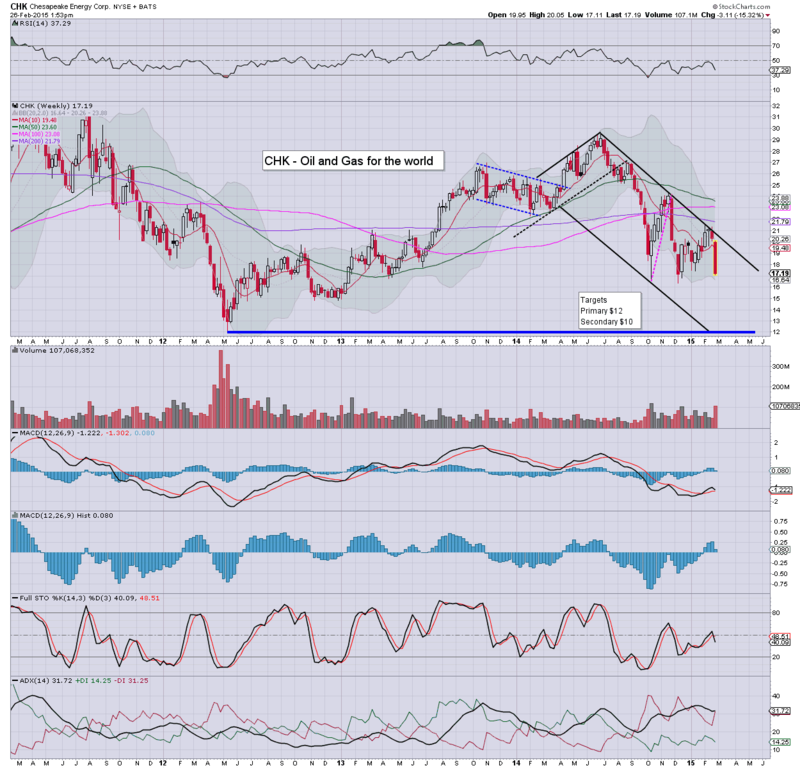 Notable weakness: CHK -4.9% in the low $17s, unravelling... and looks ugly to the 12/10 zone this summer. 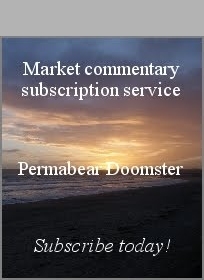 It is just another day in market land.. a touch of weakness in early morning, but with underlying strength.. being reflected in new highs in the R2K and the Nasdaq Comp'. VIX remains subdued in the mid 13s. Gold is holding moderate gains of $5. Oil remains very weak, -2.6% in the $49s. 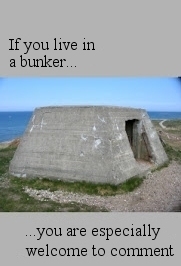 *yeah... I'm somewhat late today, but then, where the hell is everyone else lately? It'd seem the algo-bot melt is killing the financial blogosphere. So... its still a case of minor chop... but grinding broadly higher. The R2K sure isn't showing any sign of stopping. There is a touch of weakness in the Transports, but really.. its negligible. Without question, until we're back under sp'2100, there is no clarity that a retrace is even underway. At best... it looks like bears might hit 2065/50 zone, but even that looks increasingly difficult next week. Notable weakness, CHK -3.8% in the low $17s, continuing to fall after recent earnings.. target remains $12/10 zone by late summer. US equities closed moderately mixed, sp -1pt @ 2113 (intra high 2119). The two leaders - Trans/R2K, settled -0.5% and +0.1% respectively. 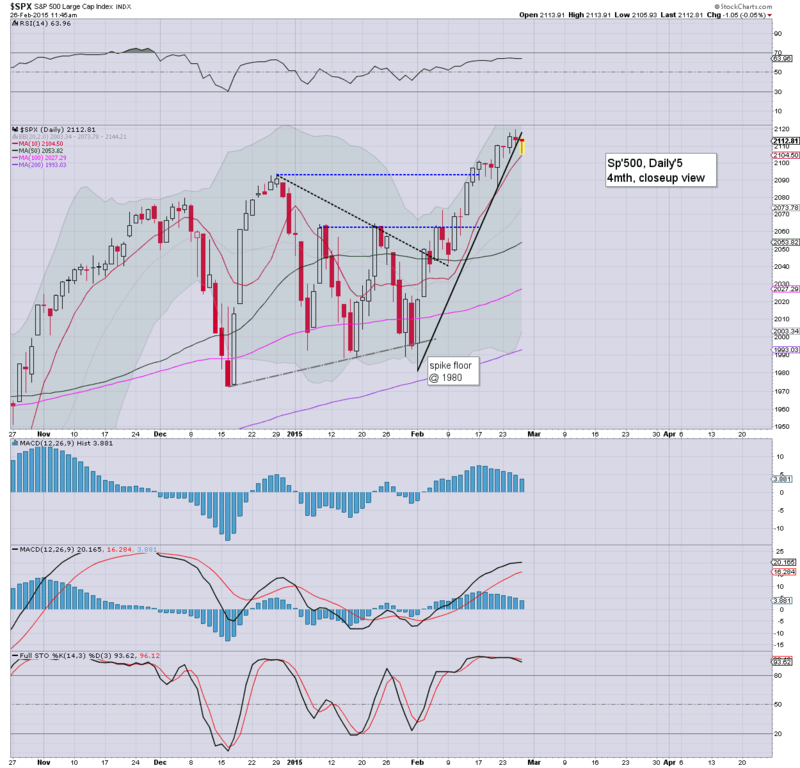 Near term outlook continues to offer a minor retrace to the 50dma.. in the sp'2050s next week. 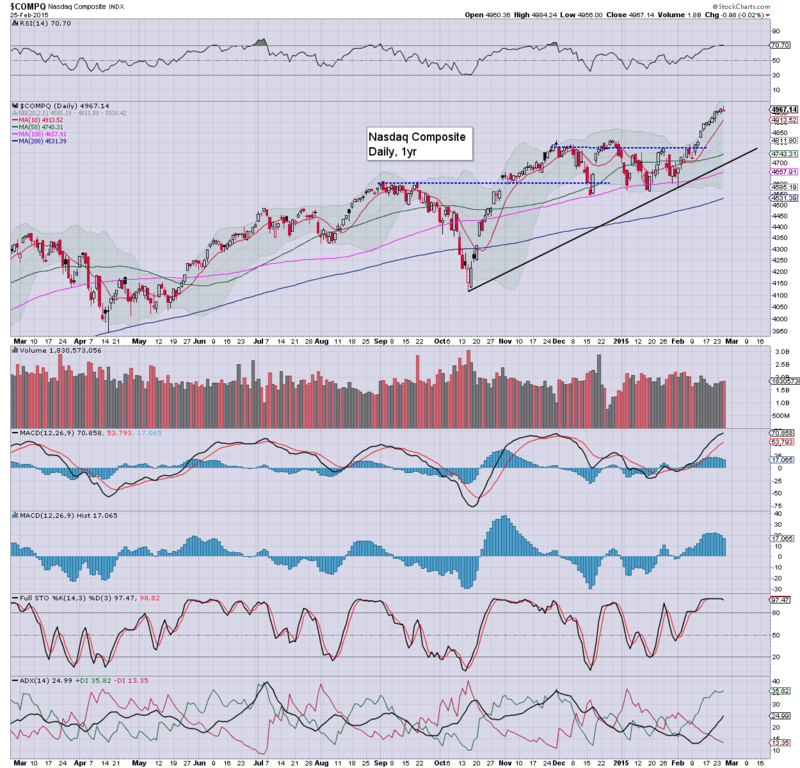 The broader trend remains powerfully bullish... with Nasdaq 5000s due. Suffice to say... it remains a case of new historic highs... each day. At best.. equity bears have a small hope (as arguably reflected in the VIX) of a minor retrace to the sp'2060/50s by mid March. Thursday will see the usual weekly jobs, CPI, Durable Goods, and FHFA house price index.